George Tsimbouksis plays Greek bouzouki and guitar. He studied the bouzouki in his twenties, having heard traditional and urban folk music from an early age. 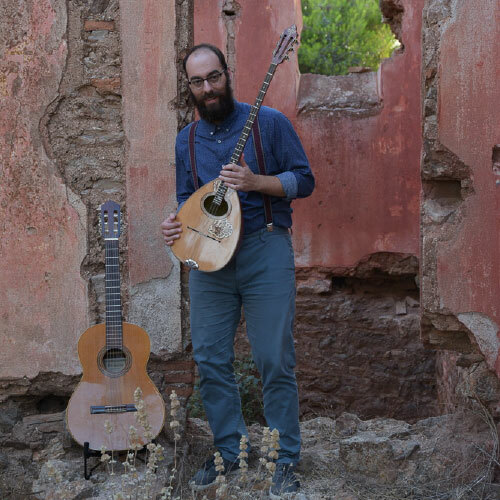 His teacher, the bouzouki virtuoso, Spiros Goumas, taught him the modes and musical traditions of the Eastern Mediterranean Greek-oriented tradition. He is co founder of the band Sòlastas and co organiser of the Athens Celtic Music Festival. He has performed in Greece, Sweden and Scotland. He has been a professional musician and teacher for more than 15 years.